The innovative team from Palantir busted out a sweet mural during their team building workshop last week. 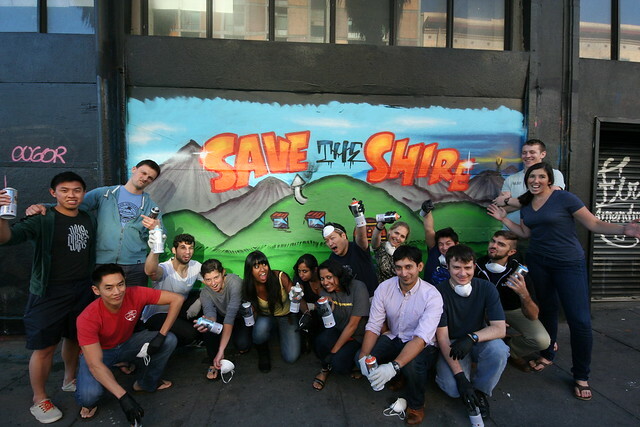 As group fans of the Lord of the Rings they chose to paint a “Save the Shire” mural, environmental undertone there? Either way, it’s one of our favorites! To setup a workshop with your team, email privateevents@gmail.com.